Black Cat Zoot’s songs capture the listener instantly, dance floor friendly tunes with peppy tempos, catchy horns, and flirty vocals. Imagine you’re in a speakeasy, watching a hot cabaret show while sippin’ on bathtub gin! If that’s too long ago….how about a more recent memory – those crazy 90s when radio was filled with happy songs from Big Bad Voodoo Daddy, Cherry Poppin’ Daddies, Save Ferris, Reel Big Fish, and The Toasters? Fans couldn’t keep up! Swing and ska shows galore! Clubs were all filled with lindy-hopers, venues crammed with sweaty teens dancing to ska! It’s like that all over again with BLACK CAT ZOOT! 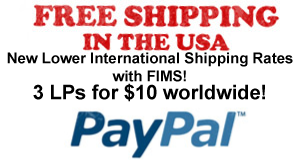 Sounds you have come to know and love once again by way of huge revivals in the USA…..but now that the hype has come and gone, bands can once again concentrate on playing the music they LOVE for people who LOVE the music! Swing! Ska! BLACK CAT ZOOT is here to make you DO THE DIRTY DANCE! 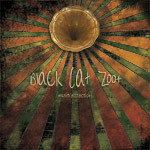 Black Cat Zoot "Main Attraction"